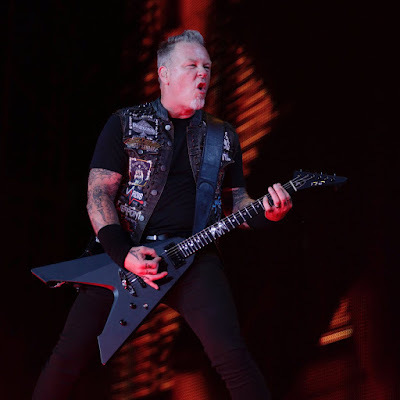 Metallica have confirmed plans to perform on ABC-TV’s Jimmy Kimmel Live on December 14. “As you may have heard,” says the band, “we’re off to Los Angeles next week for some more shenanigans and while we’re there we’ve been invited to shut down a few streets and throw a massive block party with Jimmy Kimmel Live! Jimmy has been kind enough to ask us to stop by, chat and play a few songs outside of the studio on Wednesday, December 14th. We want you to join us! The Kimmel appearance will be followed by an intimate concert at The Ford Theatre on December 15. All proceeds from the event will be donated to the Los Angeles Regional Food Bank; fans are encouraged to bring a donation of a canned good or other non-perishable food items. Metallica close out their 2016 live schedule with a December 17 show at the Fox Theater in Oakland, CA.